silver fox kit, originally uploaded by matt knoth. 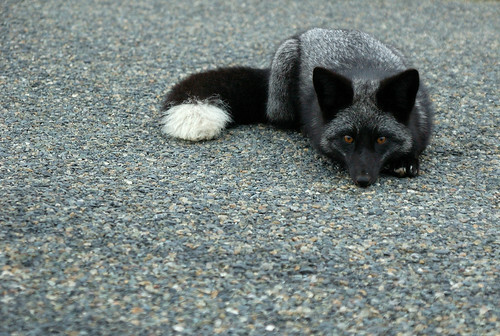 This photo of the week is a picture taken by Matt Knoth of a young silver fox on the road. I just love the contrast of textures in it!